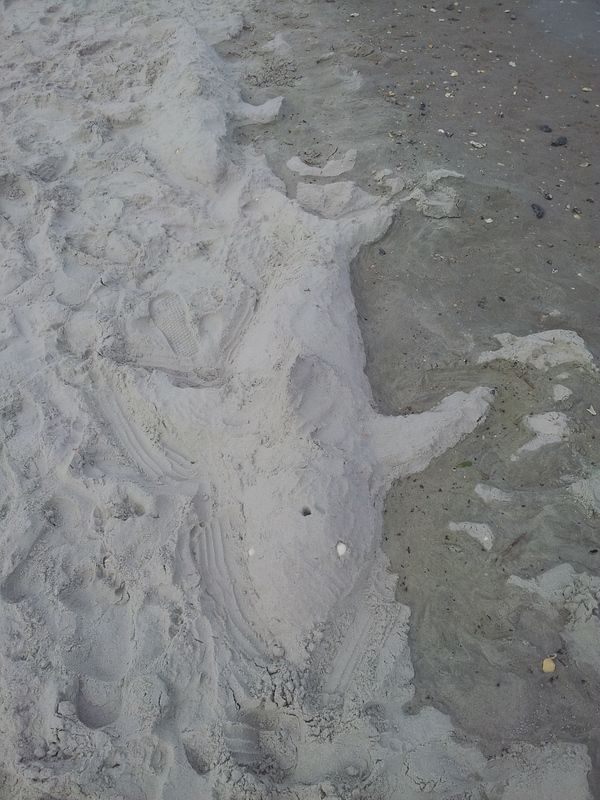 My son discovered these beautiful works of sand art on the beach this weekend. We never know what we’ll find on our beach walks; on this particular walk we found shells, sand dollars, sand castles, birds, and jellyfish. After exploring for an hour or so we settled down to make our own sand castle, which, of course, because he is a five-year-old boy, involved a reproduction of Batman’s head. I’m always surprised by how engrossing sand-castle building is, and how the simple act of dripping wet sand, scooping out little waterways, and sculpting buildings, all the while sitting in the warm spring sun can leave you feeling relaxed and clear. It’s a bit like meditation and a lot like going on vacation. Here’s hoping you get lots of time to play in the sand this summer. 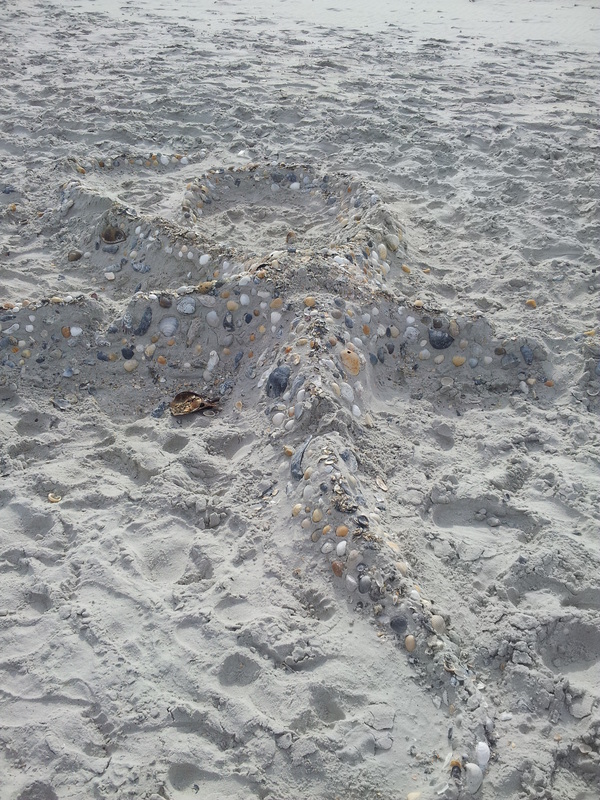 This entry was posted in Uncategorized and tagged Carolina Beach NC, children, InsiderInfo.us, Kure Beach NC, nature, sand castles, summer, vacation, Wrightsville Beach NC on May 12, 2014 by wilmingtonncevents. Nothing says that spring has arrived in the Wilmington area like picking strawberries at Lewis Farms. 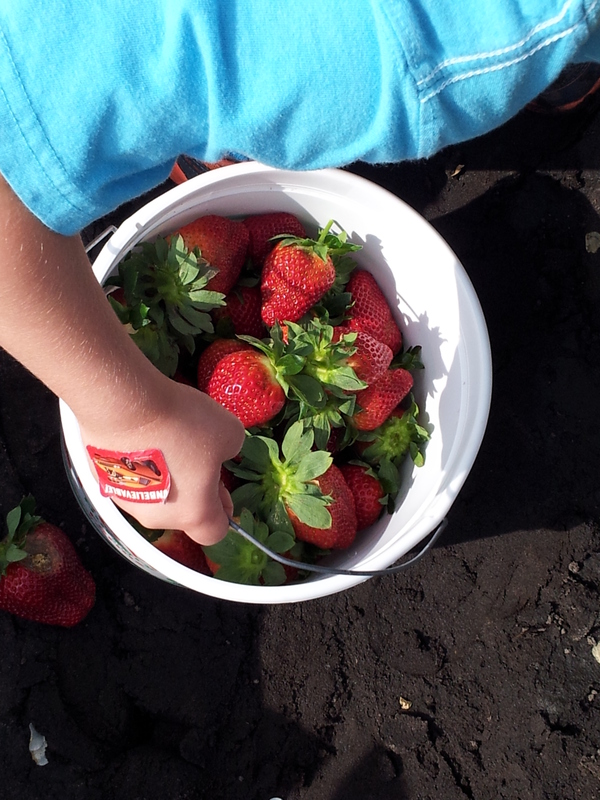 My son and I have picked strawberries at Lewis for every spring for four years (he turns five in May), and inevitably we both come home sticky, covered in juice, and happy. This year he ate half the strawberries in our bucket before we got home. 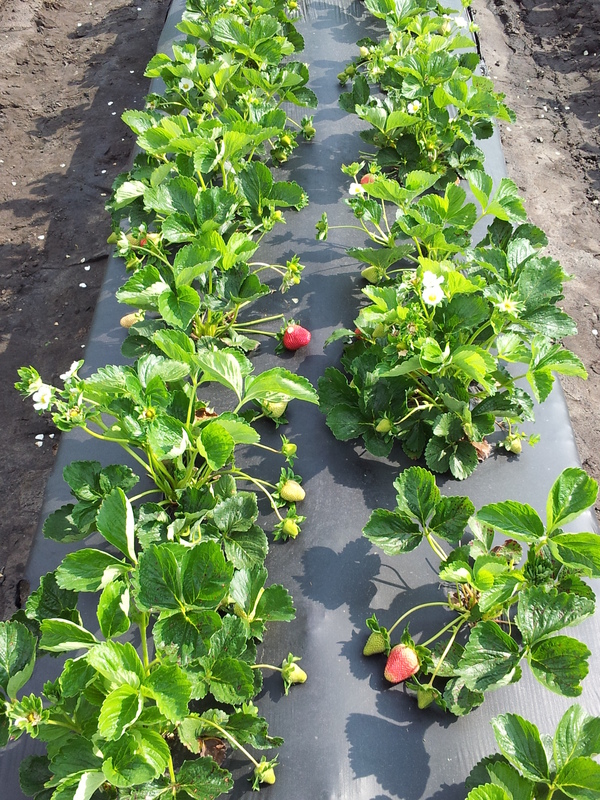 Fields are open at their Gordon Road location for strawberry picking Monday- Saturday 8:30- 6:00 and Sundays from 1:00 – 6:00. While you’re there check out their market, which has an amazing selection of beautiful flowers, hanging baskets, honey, jams, and fresh vegetables (the asparagus today was gorgeous). 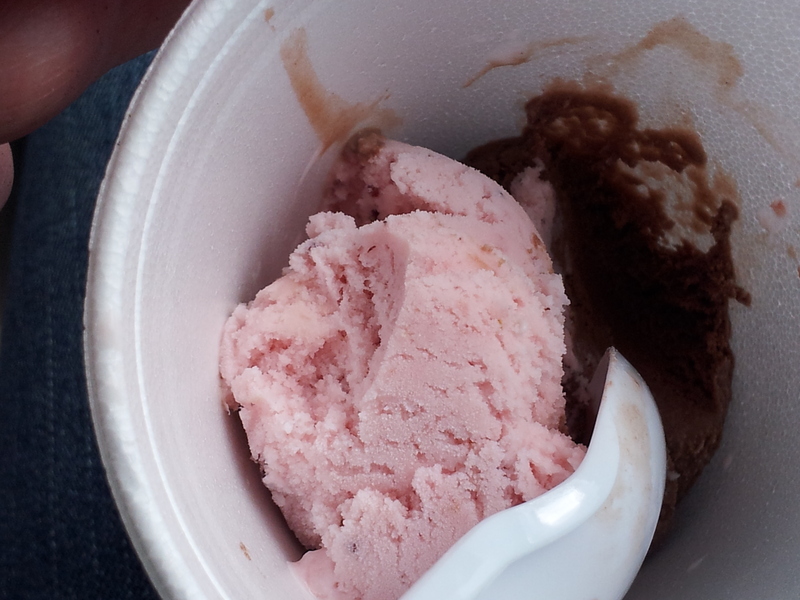 Be sure to have ice cream before you go — we’re fans of both the strawberry and the chocolate (and they taste delicious mixed together!). This entry was posted in Uncategorized and tagged family activities, ice cream, Lewis Farms, local farms, local food, NC, spring, strawberries, Wilmington on April 25, 2014 by wilmingtonncevents. This weekend marked the return for many to the beach! Perfect weather for walking by the shore, collecting sea shells, and building sand castles. It’s time to get your tickets for Cucalorus 19, the annual international film festival that brings filmmakers from around the world to Wilmington each November. Cucalorus runs November 13-17 this year with screenings of over 200 films in venues downtown. The festival opens with Dance-a-lorus, a mix of local film and dance, on Thalian’s main stage on November 13 at 7:00 pm. Filmmakers and movie lovers alike will flock to the opening night party that night at 8:00 pm at the Bellamy Mansion. From that point on, each day will feature an extraordinary mix of work by new and established filmmakers, as well as master classes, special events, and the festival’s famous midnight brunch. For information on tickets, check out http://www.cucalorus.org/tickets.asp. This entry was posted in Uncategorized on November 11, 2013 by wilmingtonncevents. It’s my favorite time of year in Wilmington: Writers Week. Each year the Department of Creative Writing at the University of North Carolina at Wilmington hosts visiting writers from across the nation for a week-long celebration of the written word. This year’s headliner is US Poet Laureate Natasha Tretheway, who won the Pulitzer Prize for her Native Guard in 2007. Tretheway reads this Thursday night, November 7, at 7:00 PM in Kenan Auditorium. Tretheway will answer questions at 3:30 that afternoon at the Azalea Coast Room. Other readers and panels include Rebecca Petruck, a UNCW MFA alumni whose first novel, Steering Toward Normal, is an American Booksellers Association “New Voices” top ten children’s debut and will be released by Abrams/Amulet in May 2014; Kathy Pories, Senior Editor at Algonquin Books; poet and MFA alumni Emma Bolden and many, many more. Check out http://uncw.edu/writers/wwschedule.html for a full list of writers and an event schedule. Writers Week’s activities include workshops, panels, craft talks, and readings — all designed to inspire the writer in each of us. Dust off your manuscript and head out to UNCW for the week — you won’t regret it. This entry was posted in Uncategorized and tagged Natasha Tretheway, NC, UNCW, Wilmington, Writers Week on November 4, 2013 by wilmingtonncevents. I love fall: the satisfying crunch of acorns underfoot, cool mornings, and pumpkins. The pumpkin patch at Wesley Memorial United Methodist Church at the corner of Peachtree and College Road has been our family tradition for years. We could line a wall with a family timeline, pumpkin by pumpkin, at Wesley. We carved our pumpkins today on the back porch: two angry bird jack-o-laterns and a scary face. While my husband and the children carved, I scooped the seeds out of the cool insides of the pumpkins and prepared them for roasting, another fall tradition. Here’s the recipe we’ve perfected during the years. 1. Scoop the seeds and clean them as best you can. There’s truly no easy way to separate seeds from pumpkin goop, other than to do it one seed at a time. 2. Add seeds and a generous teaspoon of Celtic Sea Salt to a pot of water, bring to boil and then simmer on low for ten minutes. 3. Dry seeds, spread them out on a cookie sheet, sprinkle with olive oil and Celtic Sea Salt, and bake at 325 for 10-15 minutes. 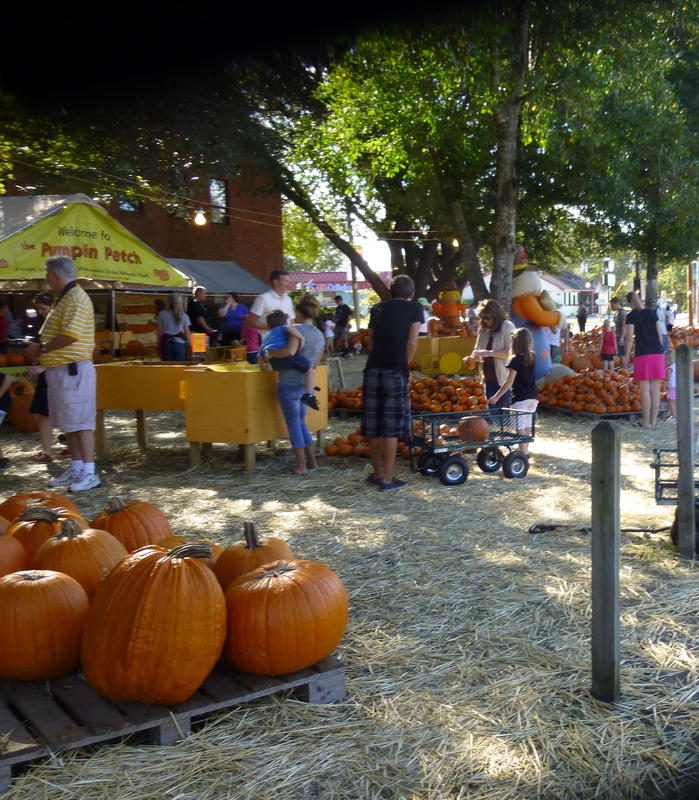 This entry was posted in Uncategorized and tagged Halloween, NC, Welsey Pumpkin Patch, Wilmington on October 28, 2013 by wilmingtonncevents.